Two people have died and a further two remain in hospital critically ill after attending a music festival at Penrith overnight. 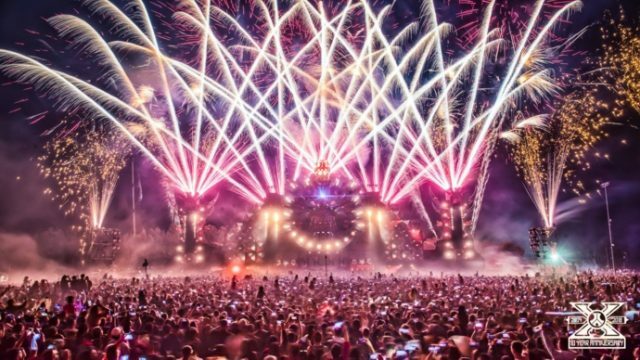 Strike Force Highworth has been formed to investigate the deaths of a 23-year-old man and a 21-year-old woman who died after collapsing at the Defqon.1 festival about 9pm yesterday. Emergency services attending the Sydney International Regatta Centre responded to multiple reports of suspected drug overdoses. The 23-year-old man and 21-year-old woman died in Nepean Hospital a short time later, while a fourth person – a 26-year-old woman from Jamisontown – remains there in a critical condition. A 19-year-old man was airlifted to Westmead Hospital in a critical condition. The man, from Artarmon, remains in hospital in intensive care. Police have been told an additional 13 people attended Nepean Hospital for treatment for drug-related issues, while as many as 700 people sought assistance from medical staff on-site. A total of 10 people have been charged with drug supply offences; three are due in court today. • A 22-year-old man, from Bankstown, has been charged with supply prohibited drug (greater than commercial quantity). Police will allege he was found with 20 packets of GHB. (commercial quantity) after allegedly been found with MDMA. All three men have been refused bail to Parramatta Bail Court today. Two teenage girls, both aged 17, have also been charged with supply a prohibited drug after they allegedly carried 120 capsules internally into the venue. A further two men and three women were also charged with supply drug offences. A total of 355 drug searches were conducted with 69 people found to be in possession of drugs, including the 10 charged with supply offences. A multi-faceted operation was undertaken at the festival with resources including the Nepean PAC, Police Transport Command, North West Metropolitan Region Enforcement Squad, NWM OSG, and the Police Dog Unit. Strike Force Highworth has been formed to investigate the deaths of the two young people. It comprises detectives from Nepean Police Area Command. An investigation is now underway into the circumstances surrounding the man and woman’s deaths with officers from Nepean Police Area Command appealing for anyone with information about their deaths to come forward. It is not the first time such a tragedy as occurred at the Defqon.1 event in Penrith. In 2015, Albury resident Nigel Pauljevic passed away at the festival. Drugs again marred the festival last year with 45 people charged with related offences. Anyone with information about last night’s incident is urged to contact Crime Stoppers on 1800 333 000. It is understood that Defqon.1 does plan to return to Penrith in September next year, but last night’s tragedy is likely to put pressure on organisers to abandon those plans. In response to the NSW police media statement made this morning, the organisers of Defqon.1 Australia are deeply saddened by the tragic passing of two of their patrons at Nepean Hospital after attending the festival last night and would like to convey their sincerest condolences to their families and friends. Thoughts and prayers are also with the young man and woman who are still in a critical condition. We are disappointed at the number of reported drug related incidents, we have a zero-tolerance policy in relation to drug use at the festival. Festival organisers are working closely and cooperating with the authorities regarding the fatalities and the number of medical presentations made during the evening, a full investigation is currently underway. As this is a matter with the NSW Police and the coroner and out of respect for the families and friends we are not going to speculate on the cause of death and we will not be making any further statements or comments.